Note: Patchboard supports Logic Pro X. 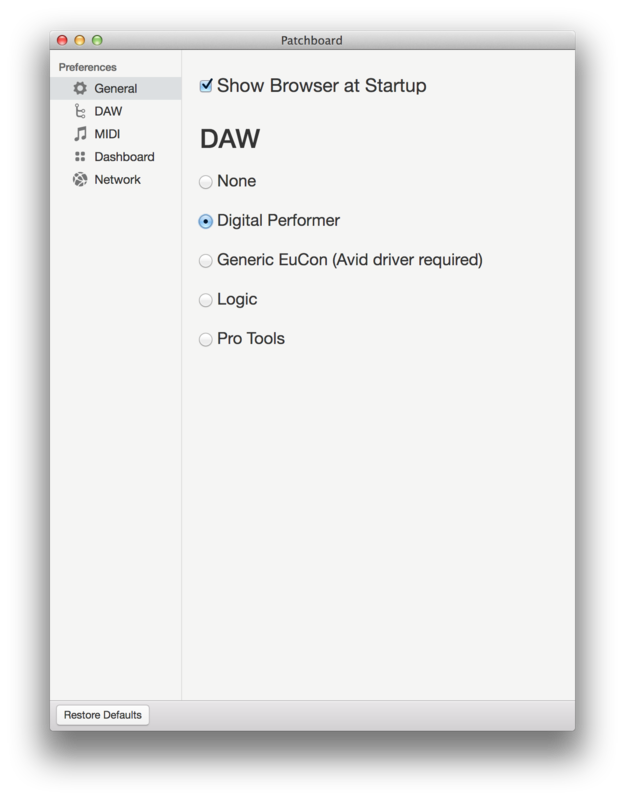 It may also work with Logic Pro 9 but I have not tested it. Patchboard integrates with Logic Pro via a custom control surface plug-in. Patchboard installs this plug-in the first time it runs. Start Logic. Logic should show a confirmation dialog indicating that Patchboard is available. Press Add. If not, continue to the next step. 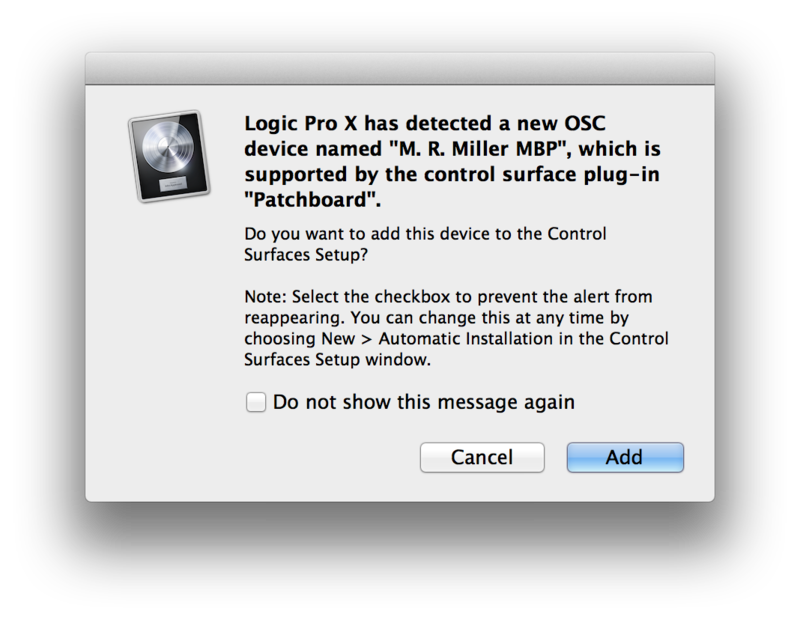 If you didn’t see the dialog: Choose Logic Pro X > Control Surfaces > Setup.... Under New, make sure Automatic Installation is enabled. Quit Logic and start it again. Logic should now be connected with Patchboard! To verify the connection, check the Project view in Patchboard. It should list all the tracks in your open Logic project. In some situations, Logic will display a different name for an instrument channel than expected. Logic will often given a default display-only name based on the chosen instrument preset. This default name (shown in the main arrange view) is not necessarily the same as the name of the track. Whatever name is visible in Logic’s Mixer is what Patchboard sees. To avoid confusion, I recommend you rename the instrument so they match. 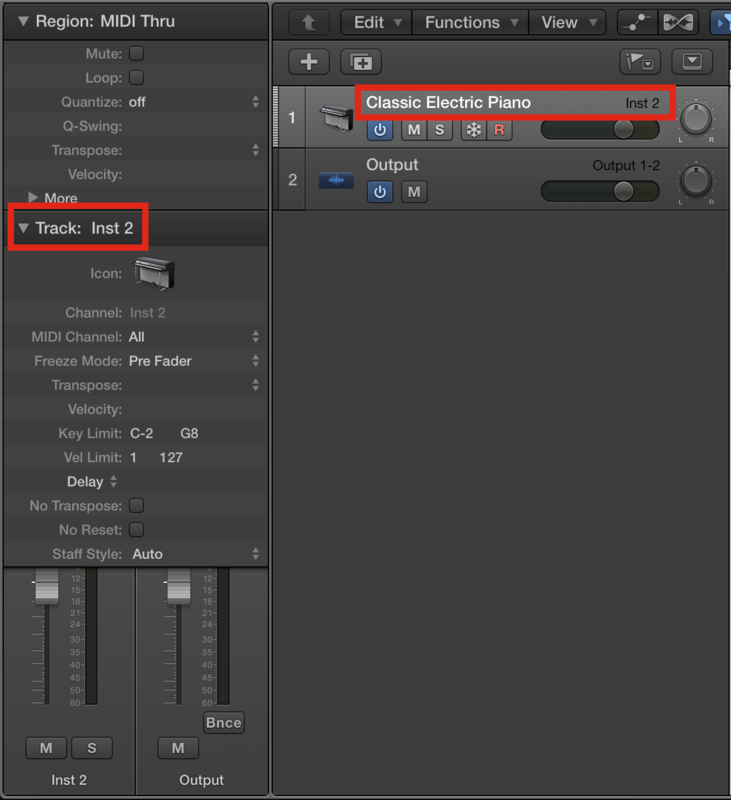 Here’s an example of a mismatch, where the track is actually named Inst 2 but the arrange view says Classic Electric Piano. Note: Logic’s additional name column (as seen in this screenshot) can be helpful in identifying these mismatches. To enable it, right-click or control-click on track header, then choose Track Header Components > Show Additional Name Column. Patchboard cannot see tracks in closed folders.